We caught up with Zia Ibrahimi, Refugee Health Access Worker at Sunraysia Community Health Services, for a chat about the Sunraysia Community Health Services Kitchen Garden Program. The Kitchen Garden Program was initially formed as a way to help newly arrived men from refugee backgrounds settle into life in Australia. It provides a space for men from refugee backgrounds to socialise and form connections while learning about growing vegetables and preparing healthy meals. The group meets once a week, and take it in turns tending to the garden or preparing lunch and then come together for a shared meal. 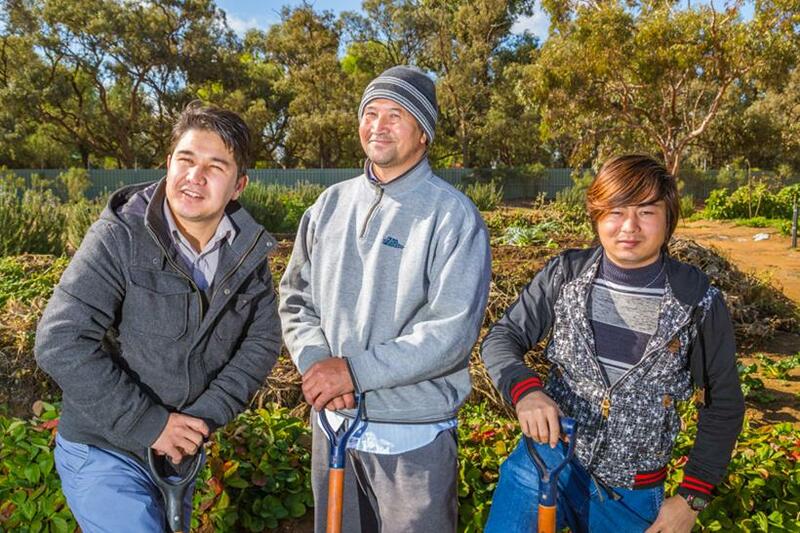 By connecting newly arrived men with men from refugee backgrounds who have lived in Australia for many years, the Kitchen Garden Program enables the group to learn from one another and reduces social isolation. The Kitchen Garden Program also has a capacity building element, often featuring guest speakers including refugee health nurses, local police officers, Country Fire Authority members and Legal Aid representatives to familiarise the group with services available in the local community and to help orient them to life in Australia. To kick off the initiative, the working group hosted a forum on 23 May with over 50 workers and volunteers from different cultural backgrounds about their experiences of being a bicultural worker. Attendees were asked what they would like to see in the future of bicultural work – what works well, what needs to change, where can we start? This was collated and then presented to almost 30 managers and representatives from local organisations at the second forum on 19 June. Attendees at this forum were then also asked to contribute from their alternative perspective. What came from this was a guide which has tips, recommendations, strategies, templates, tools and resources; that directly reference what both groups highlighted as important. This resource supports the development of a shared understanding of ‘bicultural work’ as a practice, and brings everyone onto the same page in terms of what we expect from each other. Examples of things that we can all start doing today to improve practice are also included in the resource. Cancer screening grants for underscreened communities 2018 – 2019 applications now open! Each year, Cancer Council Victoria run a project to provide funding to underscreened priority community organisations and health services to increase cancer screening participation for underscreened communities. Mental Health Australia have partnered with the Federation of Ethnic Communities’ Council of Australia (FECCA) and the National Ethnic Disability Alliance (NEDA) to deliver the National Multicultural Mental Health Project. This project will provide a national focus on mental health and suicide prevention for people from culturally and linguistically diverse (CALD) backgrounds. Improve cultural responsiveness and diversity of the mental health workforce. Congratulations to the Foundation House Early Years Program! 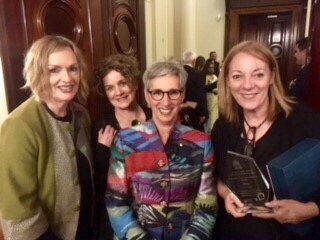 The Victorian Refugee Health Network would like to congratulate the Foundation House Early Years program on their receipt of a Victorian Multicultural Award for Excellence in the Education and Early Years category for their work on the Craigieburn Refugee Early Years Project. The Craigieburn Refugee Early Years Project is a collaboration between the Foundation House Early Years Program, Hume City Council and ten early years agencies in Craigieburn. Working with a community advisory group, the project aims to build the capacity of early childhood educators to provide inclusive learning environments to newly arrived people from refugee backgrounds. This report documents the deteriorating mental and physical health of people in offshore detention in Nauru. This report provides an overview of the Afghan and Tamil Community Strengthening Projects delivered by enliven between November 2016 and June 2018. The projects aimed to deliver place-based interventions from within the Afghan and Tamil communities in south eastern Melbourne. Activities were designed to strengthen community capacity to live healthy, happy and socially connected lives. This free, two-hour workshop will take participants through NDIS language and concepts and give them the opportunity to translate these into their own language in a way that they feel is most accurate. We will also discuss cultural understandings of disability. Upon completion of the workshop participants will be able to apply for 10 professional development points from NAATI. This two day course includes: Incidental counselling skills for a range of situations in working with young people from refugee backgrounds; examination of the impact of past and current trauma for young people; building good working relationships with young people with trauma histories; cross cultural considerations. The purpose of this forum is to empower workers with tools to discuss sexual health and sexuality with young people from refugee and migrant backgrounds. This forum is suitable for: School nurses, teachers, youth workers, community workers, settlement services, community groups, NGOs and anyone working with young people. A comprehensive introduction to working with children and families from refugee backgrounds. Includes: an overview of experiences of people who have fled wars and oppressive regimes; an outline of Australia's humanitarian program within a global context; psychosocial effects of traumatic experiences on children, families and communities; Foundation House Framework for Recovery; reflections on how we understand 'culture'; the impact of the work. Includes: concepts of gender and identity in the context of pre-arrival and settlement experiences for people from refugee backgrounds; key concepts and terms and use of language; pre arrival experiences of persecution, violence and displacement through the lens of gender, and the consequent impact on health, wellbeing and identity; challenges and opportunities for clients and workers; assumptions and perspectives on gender within and across cultures. Prerequisite: participants should have completed an introductory Foundation House workshop or have considerable experience working with people from refugee background. The Victorian Refugee Health Network statewide meeting was held on 16 August, 2018. The report includes headline updates from AMES Australia and Refugee Council of Australia; updates about the new Network structure and executive group; working group updates; and issues and activities across the state from participants at the meeting. Seat at the table are running a free zine making course for young people from refugee and asylum seeker backgrounds. The Multicultural Centre for Women’s Health is celebrating its 40th Anniversary with a gala dinner and entertainment. Their story of coming to Australia as a refugee and their health. These stories will help to know more about what helps people from refugee backgrounds to build a new life in Australia. Participation in the project will involve taking part in a 30-45 minute interview with one of the study team and participants will get a supermarket gift card as a thank you for their time. The Principal Investigator for this study is Dr Grant Russell at Monash University. This study has been approved by the Monash University Human Research Ethics Committee, Certificate of Approval Number 12616. Information sessions to help people living with disability, and their carers and families get ready for the NDIS. RMIT University is holding a free information session for people seeking asylum in Australia who are interested in undertaking further study at RMIT University. There will be advisors available to talk attendees through study pathways to get the career you want, career and program advice and English placement tests.